PHILADELPHIA -- The Philadelphia Police Department is asking the public's assistance in locating a missing 75-year-old woman. 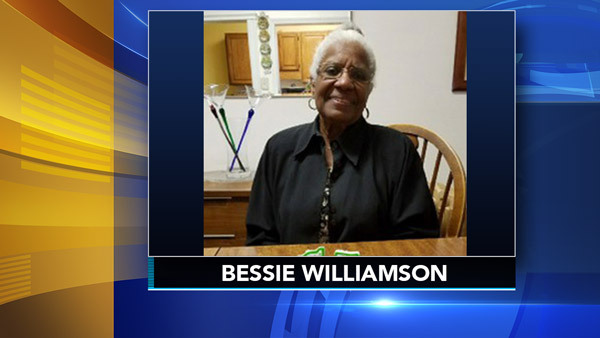 Bessie Williamson was last Monday at 7:10 p.m. in the area of 2700 block of North Bonsall Street in North Philadelphia. Williamson is described as 5'5, 160 pounds, with brown eyes, light complexion, and gray hair. She was wearing a gray coat with a brown pattern and gray slacks. She is reported to suffer from dementia. Anyone with any information on Williamson's whereabouts is asked to contact police at 215-686-3353 or call 911.